The phrase “cause and effect” can be applied to virtually every facet of life; from history, physics, marketing, politics and even the dinosaurs. Such a small phrase embodies so many connections in today’s world between actions and the aftermath of those actions. In the context of today’s volatile Middle East, the Iran regime’s top lobbyist, the National Iranian American Council has argued its own cause and effect strenuously saying that failure to seal a deal on nuclear weapons development would inevitably lead to war, regardless of the facts failing to indicate any path to war. But on the flip side, the NIAC has just as vigorously opposed any causal connection between the actions of the regime’s mullahs in directing a slew of proxy wars and human rights abuses and their ability to abide by any international agreement they sign. The regime’s support of proxies and terror groups in Lebanon, Syria, Iraq and Yemen have allowed it to build a buffer of extremist Shiite support surrounding it, displacing hundreds of thousands of refugees and killing tens of thousands of men, women and children. The fact that Iran has engaged in nuclear talks over the past three years while it has engaged in a slew of blatantly arrogant moves in violation of the spirit of those talks has laid bare the hypocrisy of the regime and its supporters. Norse’s study shows the Iran regime’s attacks have shown no signs of letting up, even during critical nuclear talks. 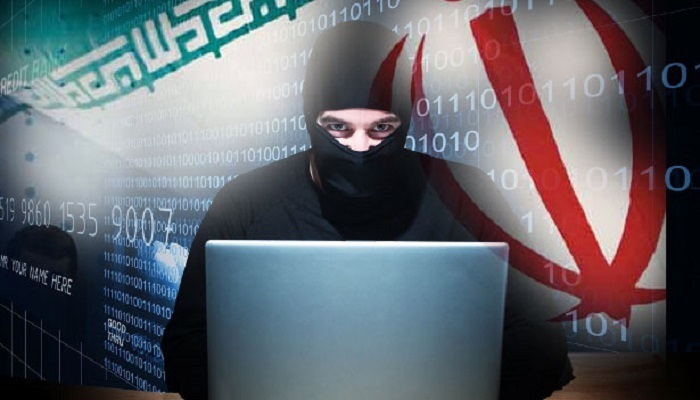 Between January 2014 and just last month, Norse’s sensors picked up a whopping 115 percent increase in attacks launched from Iranian controlled Internet protocol, or I.P. addresses, with more than 900 attacks daily in the first half of March alone. At a time when the leverage the West has over the regime through these talks is significant because of the economic mess the mullahs have created, it is a lost opportunity not to force changes upon the conduct of the regime. The old proverb, “Turnabout is fair play” certainly applies here and especially with the NIAC who have made a living on accusing the West of double standards in its actions towards Iran, but yet do not hold Iran’s mullahs to the same standards. It makes sense and is imperative that we understand the true nature of the effects the regime’s actions and lay the blame squarely at the feet of the mullahs ruling Iran.